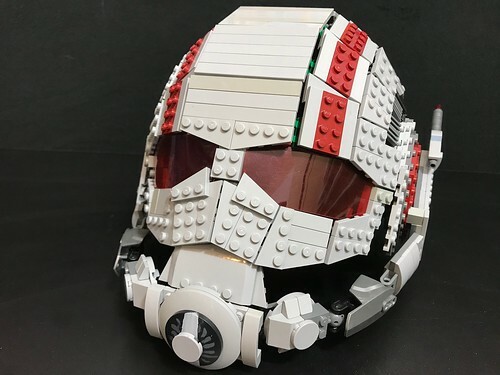 When I was looking for a couple MOCs to spotlight last week, I stumbled on this fantastic Ant-Man Helmet by Brickatecture. If you’ve seen my builds, you know I’m big into usable props and wearable LEGO items. After looking at this build, I contacted the builder to see if they’d humour me in taking a picture with the helmet on. What’s the sense in building something you can wear and not wearing it! I really like the shaping and angle work done here. It’s instantly recognizable as the prop used in the MCU and while I’m not a huge fan of painting to customize a MOC, I understand the desire to create something as accurate as possible and he has certainly achieved that here. Great Job! I’m putting Brickatecture down as my first, Builder To Watch.